Now THAT is a lot of gloves. All that pic's missing, is a Guinness Black & Tan. I should show this to my wife, seeeeeeeee I do need another glove! i showed my wife, and she started to complain that she doesnt have diamond jewelry collection, so Im not allow to buy anymore for a while till she starts her own collection. Wanna sell or trade that black wingtip with the red laces in the front row center? Thanks everyone. None for sale at the moment but maybe here in the future. An Insignia next to a Nokona? Nobody in Nocona or Worcester would want to see that!!! Is that a tan DCT? Rous...yes a tan DCT. Has not been played with. I think you are right about the Insignias, although I hear a lot of the ebay sales are gloves that did not get past quality control at Insignia (maybe no more than a rumor though). And the patterns are often the old Nokona patterns. 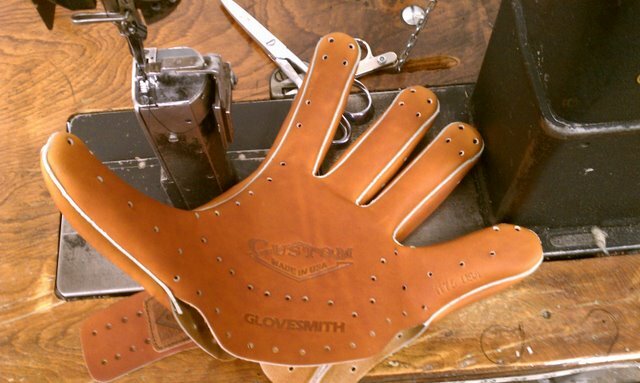 My wife would use the line, "Did you really need another......" whenever I would buy another glove or gun. My response is, "No, and need has nothing to do with it." Now whenever I bring in another glove or gun she doesn't even pay attention. Nice collection to start this thread. I like that all black Rawlings in the row second from the right.